Patches of soil in the garden are looking a little tired and, with summer crops going in faster than you can say, 'When's the best time to plant this? And that? And so on', I thought I'd better address the issue of poo. 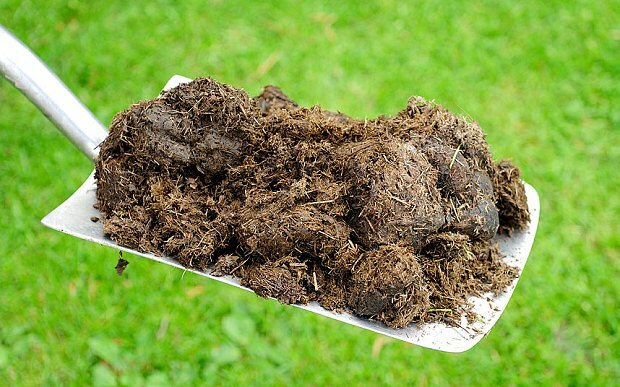 Manure's been on my list of things to do for weeks because if you want to grow good food, it's a necessary evil. Understandably, however, I've been putting it off. So today it was a lengthy discussion about the pros and cons of the various flavours of poo with the good ol' Greek lady, Mary, at our local wog nursery. (I can say wog because I am one). I learned: chicken is too strong for putting near any existing plants as it will burn them so requires messing around with, whereas cow or sheep poo can pretty much go on right away, as long as you dig it in. They didn't have horse so at least that was out of the equation. Wanting to minimise the amount of fluffing around I needed to do around poo (I am, after all, working on a new business venture and needing to start earning soon, or even sooner), I went for the easy option at Mary's suggestion, a mixture of cow and sheep. Given diversity in our diet is a good thing, I figure diversity in poo is a good thing too. Did I say easy? Well, easy is relative. Mary got busy so I had to heft these 25 litre bags of poo into my car myself, my precious car. Of course, I put garbage bags down first, but getting enough lift so you don't drag the bags on a good potion of your car first isn't easy. Windows down, talking corners slowly so the poo didn't slip off the garbage bags onto my upholstery (I don't really have a boot), it was a slow, smelly drive home. I wheeled them into the backyard - where they remain, staring at me, begging me to release them from their plastic bag confines and unleash them upon the waiting garden beds.